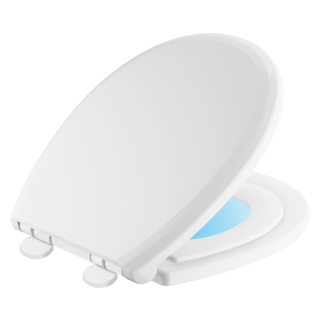 Delta® Toilet Seats with NightLight Technology provides a gentle, guiding light through the night. With the NightLight, there is no need to turn on the glaring bathroom light for nighttime tasks. 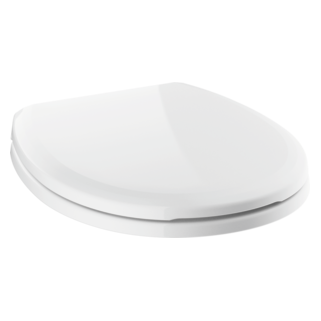 The Sanborne™ Elongated Toilet Seat with NightLight in white is powered by 4 AA batteries with an illumination cycle that is 9 hours on and 15 hours off. 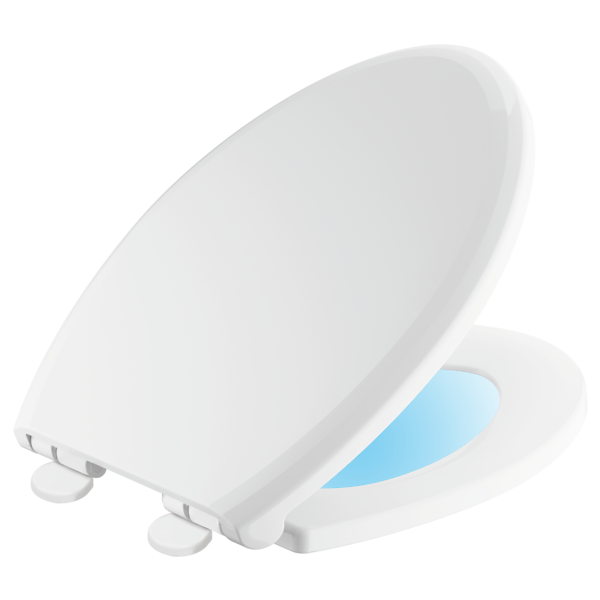 This slow-close toilet seat helps prevent slamming for a quiet close. The quick release functionality allows easy removal for cleaning, and the innovative NoSlip™ seat bumpers keep the toilet seat from shifting and improve stability for added comfort. Made from a high-quality resin, these seats resist fading, chipping, staining and peeling. Package includes mounting hardware and installation instructions for DIY peace of mind. Does the night light toilet seat lock into place on the mounting pins?